Nevada's wildlands are treasured by hikers, backcountry 4x4 groups, hunters, campers, astronomers, photographers, wildlife-watchers, mountain bikers, rockhounds and a myriad of others. The outdoor experience they cherish is one of vast landscapes where nature is the dominant force shaping the land, and not humans. But that treasure, and the ecosystems and wildlife that compose that experience, may be substantially diminished in our lifetime if even a fraction of these proposals are approved. The map below depicts the approximate boundaries of a sampling of proposals that would negatively affect Nevada's wildlands. Clark County on June 20 voted to support a plan that could transfer more than 68 square miles of public lands to private use for development of warehouses and housing tracts, despite widespread opposition from the off-road vehicle, outdoor and conservation communities. Nellis Air Force Base plans to take over nearly 471 square miles of public lands to expand its already-sprawling Test and Training Range. The proposal would shut the public out of popular trails and dirt roads, including a large swath of the Desert National Wildlife Refuge. 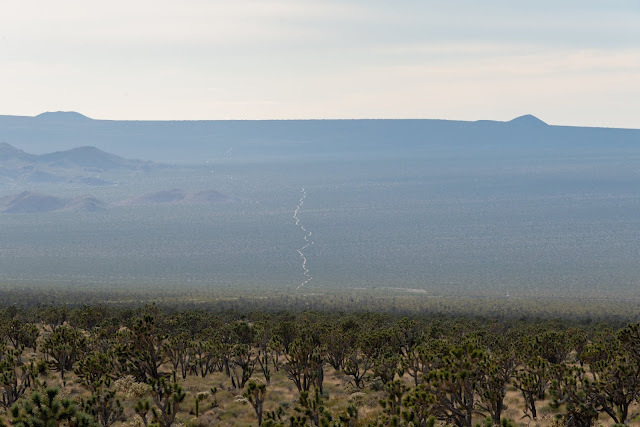 Sweden-based Eolus Wind Plans to industrialize nearly 50 square miles of famed Joshua tree woodland west of Searchlight for its Crescent Peak Wind project. The turbines would be visible from significant portions of the historic Mojave Road and jeopardize prized hunting areas. Gemini Solar would bulldoze nearly 11 square miles of prime desert tortoise habitat neighboring Valley of Fire State Park. The US Forest Service plans to open up nearly 84 square miles of the Ruby Mountains in northern Nevada to oil and gas drilling. A private developer wants to build nearly 150,000 homes and several golf courses at Coyote Springs, northeast of Las Vegas. The plan would destroy nearly 62 square miles of mostly intact habitat and jeopardize groundwater supplies. 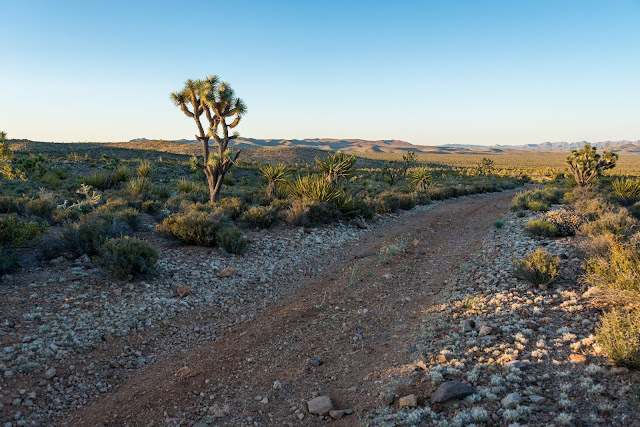 The Yellow Pine Solar project would bulldoze over 4.6 square miles of desert wildlands south of Pahrump, including long-lived Mojave yucca. The Navy wants to expand its Fallon Range Training Complex by incorporating nearly 944 square miles of public lands. About 610 square miles of this proposed expansion would be closed to the public. Sandstone Solar project would blanket over 25 square miles of desert wildlands north of Tonopah with mirrors and solar power towers that pose a threat to resident and migratory birds. Invenergy plans to build a 1 square mile solar project in the Dry Lake Solar Energy Zone northeast of Las Vegas. The Sunshine Valley Solar project would destroy 1.25 square miles of private desert wildlands adjacent to Ash Meadows National Wildlife Refuge, posing a potential threat to endangered bird species. The Red Valley Lands Solar project would destroy approximately 3.1 square miles (.pdf) of wildlands near Moapa. The Red Flats Solar project would destroy over 6 square miles (.pdf) of desert habitat in the Moapa Valley. The Techren Solar project would destroy over 3.6 square miles of desert land in the El Dorado Valley. 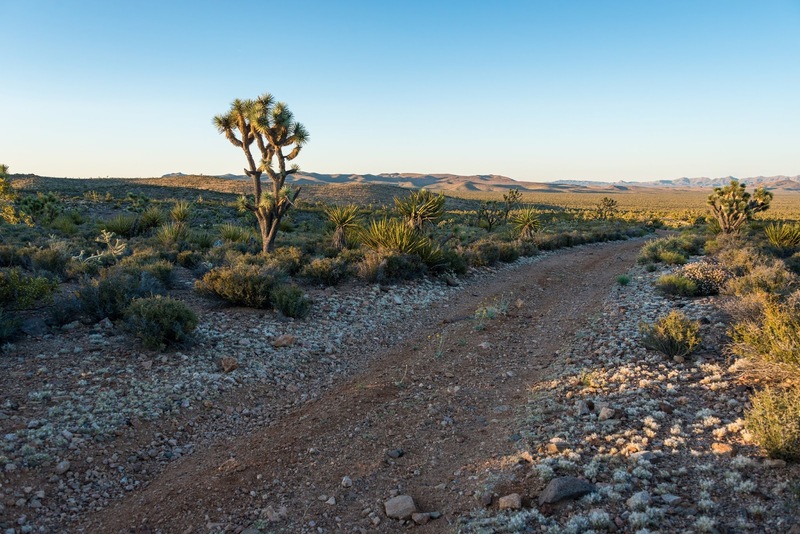 Planning for our desert wildlands usually involves public participation, but the piecemeal approach to considering individual proposals has so far neglected consideration for the big picture. The BLM and Nevada authorities may conduct environmental reviews for each of these proposals, but our elected officials have not yet put the brakes on what is becoming a giveaway of our public lands. A lonely desert road beckons for exploration in southern Nevada. If BLM approves the Crescent Peak Wind project, this area will be filled with nearly 200 wind turbines. 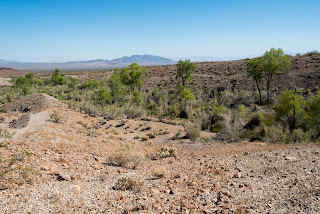 The Las Vegas Resource Management Plan (RMP), which would typically consider the balance of competing demands for public lands in a more holistic fashion for the southern Nevada region, is overdue and probably will not be completed until piecemeal decisions are made regarding many of the major proposals that will negatively impact our wildlands and the outdoor recreation opportunities that they afford. In fact, the initial draft of the RMP was released in 2014. It has been four years since that draft was released; it is not clear when BLM will issue a revised draft for public comment. Meanwhile, Interior and local officials continue to approve the destruction of desert wildlands. When California's desert wildlands faced a similar rush of proposals to build energy projects, public outcry prompted the drafting and implementation of the Desert Renewable Energy Conservation Plan (DRECP), as well as rules at the county level that identified where industrial developers could build and which are to be protected for ecological or recreation values. Although the DRECP is not considered perfect, it set aside vast swaths of public lands for conservation Nothing of the sort has been publicly proposed in Nevada. The status quo is not acceptable. Nevada's intact public lands are a treasure. They protect incredible biodiversity and offer us the ability to immerse ourselves in true wilderness. Anybody who has spent time on the East Coast of the United States, where urban development finds its way into nearly every open valley and where public lands are minimal, knows that these wildlands are special. We must protect these places in the southwest where we can drive for miles on a quiet dirt road and look out upon a landscape that keeps us humble to nature. It would be a horrible legacy to pass on if future generations find just another shopping center or industrial zone around every bend in the road. Next time you talk to your elected representatives, make sure they know that you value intact wildlands.